Title: SHOCKER OF ALL SHOCKERS! RIGHT-WING SHARON REVERSES ISRAEL'S DIRECTION, NOW STRONGLY SUPPORTS PALESTINIAN STATE, USING LEFT-WING AND ARAB RHETORIC TO EXPLAIN DECISION! Subtitle: Only a few astute Israelis saw this reversal coming! Many Jews are panicking over this "betrayal". But, if this Palestinian State which no one wants comes into existence, the likelihood is very great that Isaiah 34:12 prophecy will be fulfilled! NEWS BRIEF: "Sharon Says Occupation Must End", By Joel Greenberg, Chicago Tribune, May 27, 2003. "JERUSALEM -- Facing a firestorm of criticism from members of his Likud Party over his Cabinet's approval of a U.S.-backed peace plan envisioning a Palestinian state, Prime Minister Ariel Sharon said Monday that keeping the Palestinians under occupation harms Israel. 'This can't go on forever', Sharon told Likud lawmakers at a stormy meeting a day after the Cabinet approved the plan. 'To keep 3.5 million Palestinians under occupation -- you can dislike the word, but what is happening is occupation -- is in my view bad for Israel, for the Palestinians and for Israel's economy', Sharon said. It was the first time that Sharon, for years a hawk and architect of the Israeli settlement drive in the West Bank and Gaza Strip, had publicly used the word 'occupation' to describe Israel's military presence in those territories." "The remarks fueled debate over whether Sharon, who has used tough military tactics in an effort to crush the 32-month-old Palestinian uprising, was undergoing a political transformation as he moved under American pressure toward carrying out the peace plan, known as the 'road map'." For those of you who are not sure what the "Road Map" is, we encourage you to read our report on NEWS1807. You will not only see that the "Road Map" is a detailed plan calling for a Palestinian State to be created within tiny Israel, but you will appreciate the serious fact that this nefarious document was delivered according to Satanic occult numerics, thus stamping the plan with the imprimatur of the coming New World Order! On May 21, an editorial in the Lebanon Star Daily seemed to sum up the feelings of the Arab world, when it declared that the "Road Map" was dead! Israeli officials were saying much the same thing. Then, all of sudden - in a flash - the "Road Map" is not only un-dead, it is rushing through at breakneck speed! What on earth made such a difference! President Bush. On May 22, President Bush literally "ordered" Prime Minister Sharon to push through Cabinet acceptance of the "Road Map", which envisions a side-by-side Palestinian State with Israel. The Palestinians currently control 42% of the land of tiny Israel, and it is likely they will control that amount of land in the final draft. Just to ensure that Sharon got the message, President Bush ordered $10 billion in US loan guarantees frozen until Israel complied, and reportedly compiled a long list of punitive actions he could take against Israel if it did not back this most terrible "Peace Plan". Later, Bush presented the "Axis of Evil" nations prime for overthrow: Iraq, Iran, North Korea. 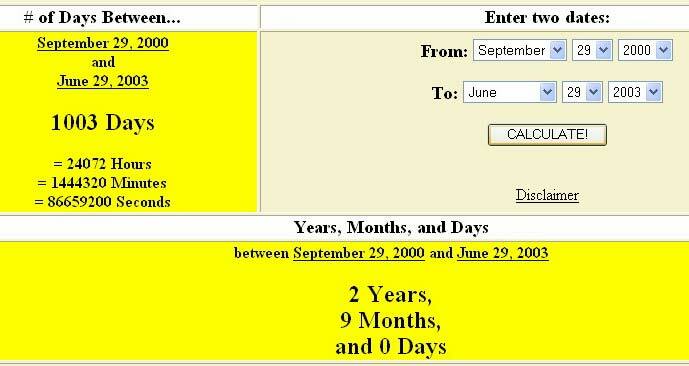 The date, 29 equals an "11" (2+9) according to occult method of calculation. Thus, this event is marked by three sets of "11"; in occult thinking, the most powerful way to emphasize a symbol or a number is to repeat it three times. Three is the number of the pagan trinity. The number "11" is a most powerful numeric symbol of the Illuminati's Antichrist - NEWS1789. Therefore, the prevalence of "11" in the Munich Massacre tells us this attack was staged as part of the plan to produce Antichrist! In October, 1985, Palestinian terrorists highjacked the cruise ship, Achille Lauro, killing handicapped 69-year-old Leon Klinghoffer. Then, beginning in the early 1980's Arafat discovered how effective human suicide bombers could be in terrorizing a modern urban country like Israel. For over 20 years now, Palestinian suicide bombers have been an exceedingly heavy thorn in the side of the Israeli state. As you can see, the Sharon government considers the beginning of the Intifada on September 29, 2000, as the "harbinger of World War III"! This is the same Prime Minister Ariel Sharon who has now just made a stunning reversal in his policy; furthermore, the same President Bush who was if office when this Sharon aide made these remarks is the same president now supposedly twisting Sharon's arm to accept the unworkable "Road Map" to a Palestinian State! Yassir Arafat is the king of terrorism! "If the battle plan goes as envisioned, the victorious Arab armies will owe a great debt of gratitude to the Palestinian Arabs. The Palestinians will have fulfilled their mission well, in drawing Israeli resources away from the border, in preventing reserve soldiers from reaching their battle stations, and in causing enormous initial casualties among Israeli soldiers and civilians. Since this will be true, if the Arab battle plan successfully destroys Israel, then we might be a little surprised to discover that the Arabs do not plan on honoring the Palestinian Arabs, nor even thanking them; rather, we discover that they plan on turning on their Palestinian brethren, to annihilate them!! Let us return now to the article from the Jewish Press.
" 'The Arab war plan does, indeed, call for the annihilation of the Jewish State, but there is another target. The Palestinian Arabs have been a hated thorn to most of the Arab world. While the Arab dictators used the Palestinian Arabs as a terrorist front to recover Arab pride for past battlefield defeats, they never allowed them to settle as citizens in their nations. They know that once these clever, hostile people have an operating state, they can and will cause havoc in the Arab world. They will constantly demand money, using the 'or else' blackmail, as in the past. Therefore, during this coming war, the two targets are both the Jews and the Palestinian Arabs'["1997: The Next Arab-Israeli War", by Emanuel A. Winston, A Middle East Analyst and Commentator, The Jewish Press, Week of January 31, 1997, Vol. XLVII, No. 5, p. 43 and 53; Full article at: https://www.cuttingedge.org/news/n1057.html]." Did you catch that relevant phrase? "... during this coming war, the two targets are both the Jews and the Palestinian Arabs' ". Thus, you can see that no nation in the Middle East really wants a Palestinian State! Therefore, why have American Presidents from Nixon to George W.. Bush spent so much time, energy, and diplomatic power behind trying to set up a state within a state that no one wants? There are several answers to this question, all of which are very interesting and informative. Seek Another Sense: First, in any situation which makes no sense, you have to seek "other sense". In this thorny question, the answer lies 180 degrees in the opposite direction of the stated rhetoric. In other words, when President Bush and Prime Minister Sharon forcefully declare they want a Palestinian State and are going to forcefully establish one, the reality is that they do not want a Palestinian State and will not allow one to be established! As we stated above, the Sharon government considered itself to be at war with the Palestinians since the beginning of their Intifada on 9/29/2000, and considered this terrorist campaign to be the "harbinger of World War III". Nothing has changed except the rhetoric! NEWS1422 -- "The Coming Annihilation of the Palestinians - Today's House of Esau"
NEWS1620 -- "Israel To Create 'Buffer Zones"
The fact is, Bible prophecy boldly states that the entire population of the Palestinians is going to be annihilated, and Israel is giving every indication she plans to do just that! But, annihilating an entire population -- man, woman, child -- is a shocking act. In fact, it is so shocking that a nation contemplating it must first thoroughly prepare the peoples of the world, and the international community, to accept such a draconian measure! A very long time of discrediting the targeted people must occur so that when they are annihilated, the average citizen from nations around the globe will simply shrug their shoulders and say, "They had it coming". This understanding brings us squarely back to our Point One, above. In forcefully heralding a Palestinian State, both Israel and the United States can tell the rest of the world that, if the Palestinians had just wanted peace, - and had stopped the terror attacks - they could have achieved it through this nation Bush - Sharon have tried so arduously to create. The US and Israel will be able to state that continued Palestinian terrorism just pushed Israel too far, and "they had it coming". The rest of the world will just not ever be told the dirty little truth: neither Bush nor Sharon ever intended for a fully functioning Palestinian State to ever arise. Are we at this point now? Is this prophecy the reason President Bush and Prime Minister Sharon seem intent upon creating a Palestinian State, even though no one wants it, least of all the Palestinians? I believe it likely this is the case. In the past, Arafat has acted with cunning and brutality to create insidious acts of terror just when diplomacy seemed on the verge of success; since President Bush is going to hold a Middle East summit sometime next week to promote the "Road Map" plan, we should expect some serious acts of terror beforehand. Further, soon after a Palestinian State is declared, Arafat may likely order a "Mega-Terror" attack on the scale of our 9/11 attacks. Should this occur, the "fire" judgment coming out of Israel is likely to fulfill Obadiah 15-18 fully, just as our articles, above, detail. Sharon's Remarkable 180 Degree Turnaround -- Right-Wing Ariel Sharon initially beat Left-Wing Ehud Barak simply because of Arafat's Intifada, which was ravaging Israel and which Prime Minister Barak could not stop. Sharon promised he would use his military experience to put a stop to the Palestinian terror campaign. However, this promise remains unfulfilled to this day! Nevertheless, the Israeli electorate proved to be just as blind as the American electorate in not realizing they had been "snookered". They re-elected Sharon, thus setting the stage for one of the greatest policy reversals in world history! Many Israelites share Chamish's opinion that Israeli leadership possesses an inherent death wish. Despite all appearances to the contrary, I assure you there is no death wish present in this leadership. Rather, Sharon and his ministers -- like Ehud Barak and his ministers before Sharon -- are Illuminists and are following the plan to produce Antichrist exactly. What did Bible prophecy state about the tactic Antichrist planned to use to annihilate his enemies? THIS is the real plan! This is frankly incredible, that a "Right-Wing" leader -- a former military officer -- could actually repeat the historic lie of both Arab and Liberal Jew alike, in saying that Israel was guilty of "conquest"; Israelis fought in 1948 to establish the fledgling nation authorized by the United Nations the end of 1947! Israel was just defending her land, and fought just as you or I would have fought for the defense of America. Do not forget this fact: the state of Israel was very legitimate, as the United Nations voted her into existence. Thus, every Jew had international backing as he fought to defend Israel against the Arab onslaught! Israel is not an illegitimate nation! At the time of the 1948 Arab invasion, Arab radio urged all Palestinians to flee so the Muslim armies could fight and fire without worrying about killing their own. When the war was over, and Israel had won, international law gave Israel the right to expatriate the Palestinians to their natural home, the province of Moab in Jordan. The Jordanian king refused to allow the Palestinians in his country, rightly fearing that his Hashemite kingdom would rapidly fall into the minority as the Palestinian population grew. Once again, Israel has every right to the land that God gave Abraham. The argument used above applies here, so I will not repeat myself, except to say that Sharon is now using the same terminology as have the implacable Muslim Israel-hater for the past 55 years. This Chicago Tribune ascribed Sharon's amazing overnight transformation to either arm twisting on behalf of Israel or to a desire to no longer have to financially support the Palestinians. Many people assume Sharon must also feel that Israel's security is enhanced by this change in direction, even though history has proven these past decades that a Palestinian State physically next to Israel will be a "dagger near the heart", as President Nixon once remarked. One more important fact needs to be discussed, which will show you that neither Sharon nor Bush is going to allow the state of Israel, Jerusalem, or the Temple Mount to fall to Arab control. In NEWS1643, entitled, "Fervent Masonic Desire To Rebuild Solomon's Temple Is The Driving Force Behind Events In The Mid-East Today", we reported the secret Masonic plan to seize control of the Temple Mount so they can rebuild Solomon's Temple. Freemasonry is absolutely, completely, 100% devoted to the Solomon Temple, without which her entire structure and foundation would die! Thus does Masonry stand in stark contrast to genuine, Biblical Christianity. In other words, Freemasonry is rooted at its deepest foundation to the abolished First Covenant of the Old Testament, while Biblical Christianity is rooted to the eternal Second Covenant of Jesus Christ as delineated in the New Testament! This fact is why Skull & Bones Man, George W. Bush, loves to quote Old Testament as much as he does. Masonry is wedded to the Old Testament! There you have it! The new physical Temple is planned to be constructed on the Temple Mount, so their Masonic Christ -- Biblical Antichrist -- can arise to use it! This firm plan is the greatest Illuminist guarantee that the Illuminati will not allow Israel to be destroyed. Even though events right now are looking glum and bleak, remember this: the Illuminati needs to control that Temple Mount, destroy the Muslim Dome of the Rock, and stage their Antichrist, so they can rebuild Solomon's Temple. However, God's firm promises to Israel once she has returned back to her land is the REAL anchor upon which every Jew and Born Again Christian should fasten themselves. Listen to God's wonderful promises to Israel once she has come back to her land. 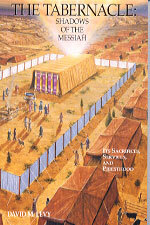 In Amos 9:11, God foretells that, in the Last Days, he will cause the Old Testament Temple worship to be reestablished ["raise up the tabernacle of David ..."]. Then, in verse 12, God says that this restored Israel will possess the remnant of Edom. The people of Edom are the descendants of Esau, Jacob's older brother, and the present land which they inhabit is East of the River Jordan, which is mostly the land of Jordan, including the Palestinians. These are the "House of Esau" which we covered in NEWS1422 and NEWS1620, above. 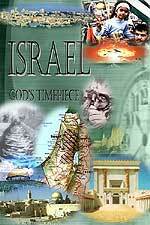 After the Palestinians are gone in God's judgment, God has given their land to Israel. Did you catch the core of that Divine Promise? "... they shall no more be pulled up out of their land which I have given them". Thus, you can see that neither Almighty God nor the Illuminati wish to see Israel defeated. Yassir Arafat - that Egyptian recruited by the Illuminist KGB (NEWS1429) -- may be ready to play the part of the "Judas Goat", leading the Palestinians up that slaughter ramp. We have covered the prophecy found in Obadiah 15-18 thoroughly in the two above articles. In this section, we want to focus on God's promised physical judgments upon the Palestinians and finally, God's promises to Israel once He brings her back to the land. You will see that God has been paying attention these past 33 years that Arafat has been carrying out his campaign of murder and terrorism, and for the past 22 years he has been sending out suicide bombers to kill innocent Jewish men, women, and children. God has brought several judgments in the past upon the House of Esau, the Edomites; however, Edom today is not smoldering forever as burning pitch, and its smoke is not ascending into the sky forever. The land has not lain in waste for generations and generations unto eternity. Obviously, this kind of judgment is still in the future for the modern day descendants of Edom -- the House of Esau -- the Palestinians. As we have pointed out in the Cutting Edge articles referenced above, Israel today has the weapons with which to carry out this type of physical annihilation. As God warned in Obadiah 18, "there shall be no survivor of the house of Esau, for the Lord has spoken it." Zechariah 12:2-6 -- "... in that day I will make Jerusalem a burdensome stone for all peoples; all who lift it or burden themselves with it shall be sorely wounded. And all the nations of the earth shall come and gather together against it. In that day, says the Lord, I will smite every horse [of the armies that contend against Jerusalem] with terror and panic and his rider with madness; and I will open My eyes and regard with favor the house of Judah and will smite every horse of the opposing nations with blindness ... I make the chiefs of Judah like a big, blazing pot among [sticks of] wood and like a flaming torch among sheaves [of grain], and they shall devour all the peoples round about, on the right hand and on the left..."
God paints an incredible word picture here. 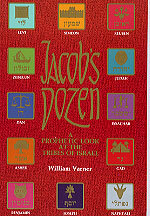 He portrays Israel as a " flaming torch among sheaves of grain", a torch that shall "all the peoples round about, on the right hand and on the left". Notice that little word, "all", for it means exactly that. God is reserving End of the Age physical judgment of the nations immediately surrounding Israel for Israel to carry out. For this reason, I believe Syria will be taken down by Israel, and not the United States. We have noticed a definite ratcheting downward of the anti-Syrian rhetoric lately, and no mention anymore that our troops are massing on Syria's border. God is going to use Israel as His sword of retribution for the Palestinians, Lebanese, Syrians, Egyptians, and Jordanians. Get ready for prophecy to literally be fulfilled, in your upcoming Daily News. "For the Lord has a day of vengeance, a year of recompense, for the cause of Zion." Make no mistake about the fact that the situation in Israel is looking mightily serious, as many people think they see the national Grim Reaper at the door. Yet, we have demonstrated that neither God nor the Illuminati has any intention of allowing Israel to be defeated or annihilated. The situation today is one in which you must force yourself to look beyond the propaganda rhetoric streaming forth from the Mass Media and from the governments involved, to see the bedrock truth. Israel will survive to be deceived by Antichrist, and then to be delivered by Jesus Christ. You can bet your last dollar on this reality. Truly, the End of the Age is upon us. Are you spiritually ready? Is your family? Are you adequately protecting your loved ones? This is the reason for this ministry, to enable you to first understand the peril facing you, and then help you develop strategies to warn and protect your loved ones. Once you have been thoroughly trained, you can also use your knowledge as a means to open the door of discussion with an unsaved person. I have been able to use it many times, and have seen people come to Jesus Christ as a result. These perilous times are also a time when we can reach many souls for Jesus Christ, making an eternal difference.